Domestic resource mobilization (DRM) can be defined as the accumulation of savings from resources generated domestically and their investment in socially productive activities. In a broad sense, DRM entails the mobilization of both human and financial resources available within the country. In poorer and developing countries, DMR is primarily meant to increase the fiscal capacity of the country and improve the social return of public investments, promoting economic growth, internal consumption, an efficient and appropriate provision of public good and services from the State. DMR, therefore, are pivotal to a sustainable development of a country and, being domestic, presents other advantages compared to Overseas Development Assistance (ODA) and Foreign Direct Investments (FDIs), such as not having conditions/ political o economic strings attached by donors, and being less volatile and more predictable than foreign investments which, instead, vary according to the interests and objectives of the investors. Furthermore, DMR promotes domestic ownership and greater control over the resources available by the State, thus representing the most significant and sustainable, autonomous source of financing for development. DMR are divided into private (mostly households and corporate savings) and public savings which are generated through taxation. 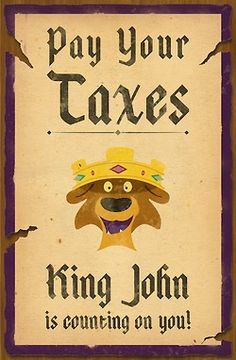 Taxes are of different types ( direct such as income taxes, indirect such as VAT or value added tax, corporate taxes, royalties…) and serve multiple purposes for the well-functioning of a state: primarily they are used to redistribute wealth among citizens, ensuring the provisions of those public goods and services ( health, education, defence, infrastructure construction etc…) which should be enjoyed by everyone regardless of their economic possibilities. In short, tax is the first sources of government revenue to ensure an efficient socio-economic system available to all citizens. It also encourages a better governance, as public expenditures financed through collecting taxes allows citizens to control and monitor their government, rendering them accountable and responsive to the needs of their citizen. It is precisely for this reason that tax can and should be considered at the core of the social contract between citizens and the State, can increase the legitimacy of state institutions towards their constituency and, eventually, improve the overall functioning of democracy in developing countries. Different kinds of boat people: the immigrants and the tax evaders. The mining industry is a complex economic sector, as resources are normally owned by the state but mostly extracted by private sector, their exploitation involves high risks as there is no guarantee of discovery or mine profitability and the development of a mining industry is capital intensive, with long lead times and massive impacts on the social and natural environments. Mineral prices are highly volatile and, therefore, companies normally require “stability clauses” to mitigate and minimise the risks associated with extractive activities. However, governments want to attract foreign investors and maximise the profitability of their minerals, hence States in resource rich countries often enter unfavourable deals with TNCs conceding them extremely favourable clauses and terms which prevent state authorities from getting sufficient revenues and allows companies to subtly dribble international human rights, social and environmental laws and standards, leaving inhabitants of mining communities far worse off. Furthermore, whist several countries in Sub Saharan Africa are mineral dependent (meaning that a country’s mineral export accounts for >20% of total exports) the mining value addition ( the capacity to generate extra worth that comes from each stage of processing the minerals adding value to the ores themselves and/or to the domestic economy), still remains dramatically low across the region, and so is the contribution of the mining sector to the generation of fiscal revenues for the producing states. At the first ATRN (African Tax Administration Forum) International tax workshop held at Victoria Falls in September 2013, participants agreed that governments’ shares of mining income should be between 40% to 60% in mining and between 65% to 85% in petroleum; all shares below this range should be cause for concern and regret. In 2013, however, Zimbabwe’ s mining sector only contributed 13% to the state coffers ( EY Zimbabwe 2015). Government should accrue revenues from its mineral resources primarily through the taxes that mining companies pay to the state, according to project-specific “mining agreements” which discipline the fiscal term of the contract between the stakeholders. Unfortunately, disclosing the revenue sharing agreement still remains a key challenge for many African countries; in Zimbabwe, like in many other regional neighbours, the government does not publish the mining contracts it signs, nor the payments received by mining companies, thus keeping precious and essential information concerning the extractive sector away from the media and the general public, despite minerals being a public asset whose exploitation should benefit the whole population. Furthermore, secrecy and lack of access to information increase the risk of corruption and leakages of revenues, whilst facilitating the diversion of companies profits towards low-tax jurisdictions. Therefore, it is of outmost importance to advocate for the government and the TNCs to abide by international standards disclosing mining agreements as recommended by initiatives such EITI or several international stock exchanges. Corporate Income Tax : Corporate Income Taxes (CIT) are payments assessed on the profits made by the business company once all the expenses and eligible costs have been deducted. Simply put, CIT are taxes paid on the income generated by the firm. The main problem with the growing recurrence to income-based taxes, is that, unlike royalties, the latter are paid as percentage of profits made by companies. Hence, whilst royalties allow governments to collect revenues from the earliest stage of extraction, before being able to obtain CIT, the government needs to wait for the activity becomes profitable. Therefore, in several occasions mitigations measures are taken to attract TNCs to operate in the country, such as conceding tax holidays (incentive schemes which envisage tax reduction or elimination to firms) until the activity has generated sufficient returns. For this reason, companies often wait several years before declaring profits and “buy time” declaring losses until when they have recovered the money used for investment and generate sufficient earnings. Most of the time, after this period, they simply leave and close down the company, to open somewhere else or under a new name. In Zimbabwe, according to Oxfam and the Publish What You Pay Coalition, there are 2 mechanisms which might be used by mining companies to reduce their taxes: first of all, mining companies are allowed to pay the whole amount in the year that costs were incurred, thus reducing the amount of payment to the state fiscus. Secondly, there is no limit that past losses can be carried to claimed against future profits declared. Overall, CIT are more volatile than royalties, as companies tends to recur, whenever possible, to mechanisms of tax avoidance (for instance through transfer pricing –> see section on Illicit Financial Flows and International Tax Governance) increasing declared losses and reducing income, or exploit other tax incentives in order to pay less. Withholding Taxes : Taxes paid at source on payments made by the mining companies to non-resident (foreign) companies for good and services they have provided to them. The rationale of this kind of tax is to allow the government to capture income from international financial transaction before the money leave the country. As ZIMRA website reports ” The legal requirement is that a 10 percent Withholding Tax is deductible from all amounts payable to all persons who enter into contracts, of an aggregate amount of USD$1,000.00 or more, with the State or a statutory body, a quasi-government institution and taxpayers who are registered with the Zimbabwe Revenue Authority (ZIMRA), unless the payee furnishes the paying officer with a tax clearance certificate “. An optimal fiscal regime for the Extractive Sector…. and the challenges to achieve it! Ideally, every effective mining tax regime should start by compelling mining companies and government to disclose revenues sharing agreements, and allow citizens to easily access and obtain information over the specific fiscal terms governing mining activities. Furthermore, it should privilege more robust and progressive royalties taxation schemes over CIT which, however, should be adjusted over time to the changing values of minerals. Another critical factor is to limit domestic legal loopholes creating opportunities for leakages and tax avoidance, whilst reducing blindly and uncritically incentives schemes given according to the “race-to-the-bottom” logic to ease competitiveness and attract FDIs even when is not worth conceding them. Stability clauses should be reviewed and limited in time, as they might seriously compromise the ability of the country to adjust the fiscal regime. The capacity to conduct systematic and comprehensive physical auction of mineral production and geological surveys of the ores presents underground needs also to be strengthened, in order to obtain detailed and accurate information about the current country’s mineral assets ( See also CNRG Critique of the Mines & Minerals Amendments Bill for more detailed information about the issue). Unfortunately, several challenges still lie ahead in the road towards a better and more fruitful tax mining regime. Little transparency and competitive schemes in the allocation of mining concessions, scarce or non existing coordination among the different Ministries and the tax revenue authorities, weak institutional governance and lack of power separation, with frequent interference by the executive, and the propensity to recur to the opaque and loose instruments of international finance such as double tax agreements (see the section on Illicit Financial Flows and International Tax Governance), have repeatedly and massively undermined the capacity of the government to reap significant revenues from the vast mineral endowment of the country, whilst secrecy of mining deals have facilitated the encroachment of corrupt practices among government officials and military cadres. A greater, genuine commitment and a solid improvement of the tax governance system in the extractive sector is henceforth desirable, in order to ensure that revenues from minerals are channeled into the state coffers and wisely and effectively managed, ensuring equitable redistribution of wealth at national and local level and strategically investing windfall earnings into higher added value sectors of the economy.